It’s easy to forget that Nokia was once one of the biggest phone companies in the world. In 1999, it was so popular that one of its devices, the Nokia 8110, appeared in the first Matrix movie. Now, the curvy handset nicknamed the banana phone is back. The new 8110 retains its original slider and curve and will be available in traditional black or banana yellow colors. It comes with KaiOS—a fork of Firefox’s now discontinued Linux-based mobile operating system—and uses HTML5 apps. Owners get Google Assistant, Maps, and Search, along with Facebook and Twitter. Snake is also there, naturally. Internally, the phone features 512MB of RAM and 4GB of storage, and while some sites claim it uses Qualcomm’s Snapdragon 205, there seems to be some confusion over the type of CPU in the 8110 4G. The Nokia 8110 4G also has a 2.4-inch QVGA display and a 2-megapixel rear camera. It boasts LTE, 802.11 b/g/n, Bluetooth 4.1, GPS, micro USB 2.0, a headphone jack, FM radio, and a 1500mAh battery. As with the updated 3310, that low-end hardware does at least mean you won’t need to charge the 8110 4G often. It offers 25 days of standby time and around 9 hours of calls. 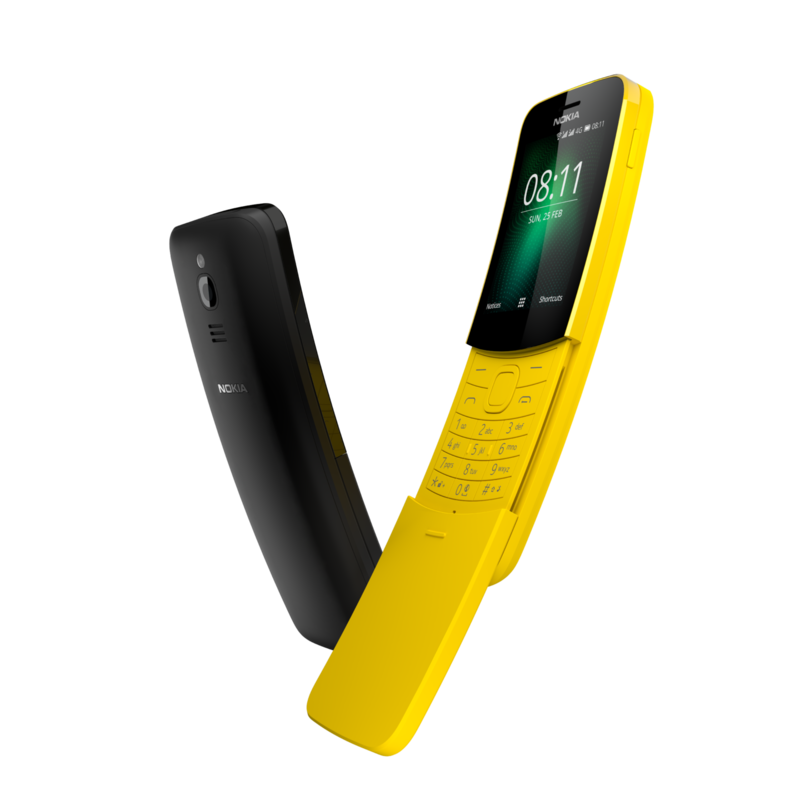 The Nokia 8110 4G will be available in May for 79 euros ($97).